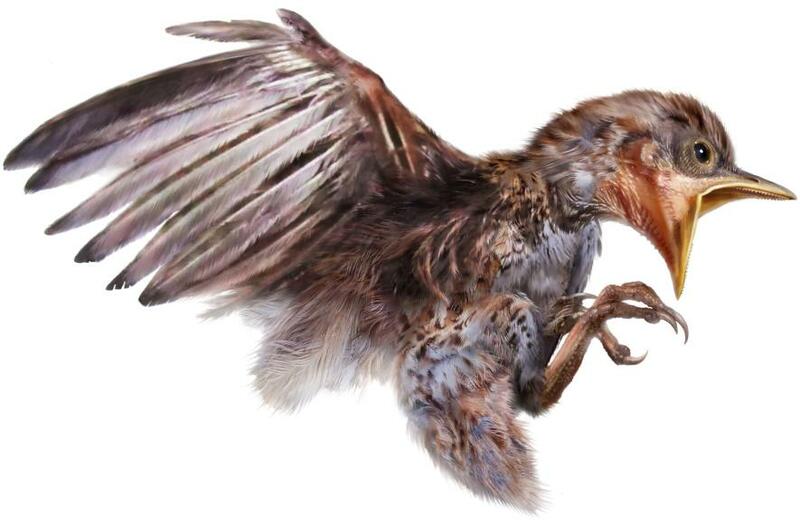 The hatchling belonged to a major group of birds known as enantiornithes, which went extinct along with dinosaurs at the end of the Cretaceous period, about 65 million years ago. Funded in part by the National Geographic Society’s Expeditions Council, this discovery is providing critical new information about these ancient, toothed birds and how they differed from modern birds. Based on its molting pattern, researchers could determine that the bird was only in its first days or weeks of life when it was enveloped in sticky tree resin and literally frozen in time. 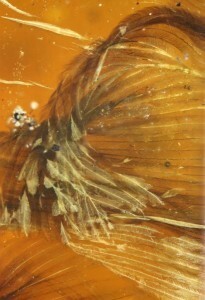 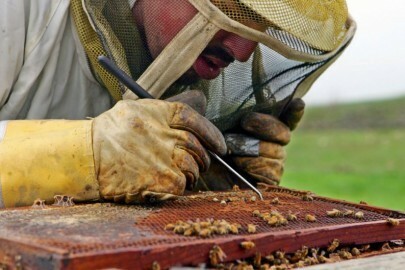 Nearly half of the body is preserved in the three-inch sample, including its head, wings, skin, feathers and a clawed foot clearly visible to the naked eye. 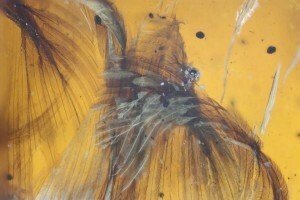 Its 99-million-year-old feathers range from white and brown to dark grey in color, and the researchers have nicknamed the young enantiornithine ‘Belone’, after a Burmese name for the amber-hued Oriental skylark. The fossilized specimen was purchased in Myanmar in 2014 by Guang Chen, director of the Hupoge Amber Museum in Tengchong City, China, after he had heard about an amber sample with a strange “lizard claw” inclusion. 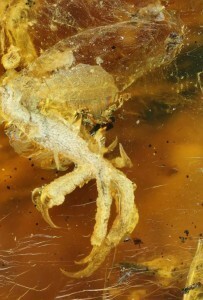 Chen brought the sample to research team co-leader Lida Xing of the China University of Geosciences, who identified the claw as an enantiornithine foot. 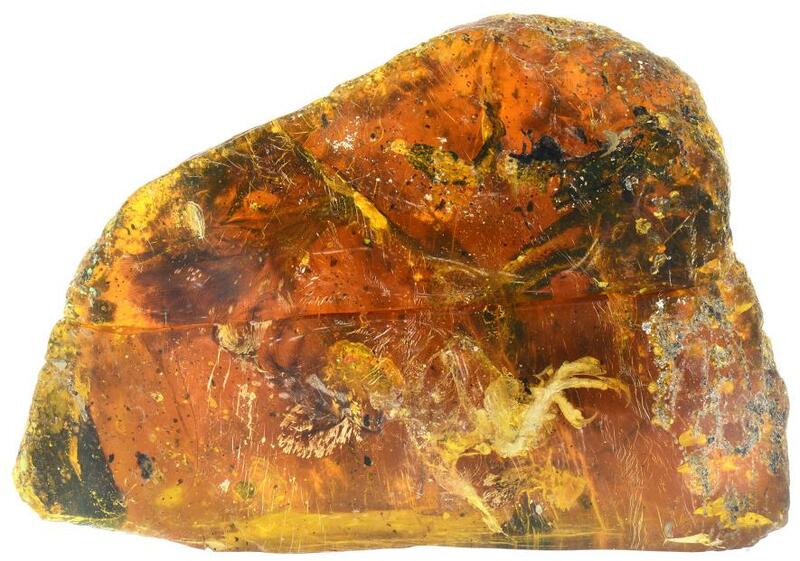 Additional imaging of the specimen revealed the remarkable extent of preservation obscured behind thick layers of amber, carbonized plant remains, and clay-filled bubbles. “The surprise continued when we started examining the distribution of feathers and and realized that there were translucent sheets of skin that connected many of the body regions appearing in the CT scan data,” adds team co-leader Ryan McKellar of the Royal Saskatchewan Museum. ‘Belone’ is currently on display at the Hupoge Amber Museum and will travel to the Shanghai Museum of Natural History for a special exhibit between June 24th and the end of July 2017. ← 11-year-old boy killed by stray bullet!